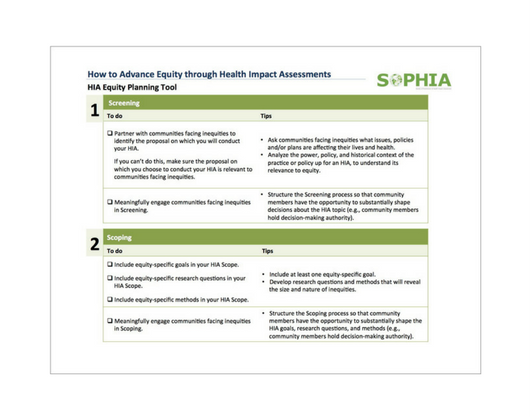 The Society of Practitioners of Health Impact Assessment’s Equity Workgroup (which HIP was a member of) published this planning and evaluation framework to help practitioners plan their approach to addressing equity in their HIA. 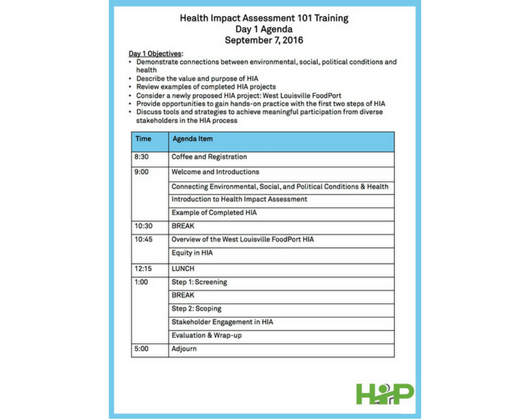 An example of our training binder that HIP uses when it conducts a two-day HIA training. 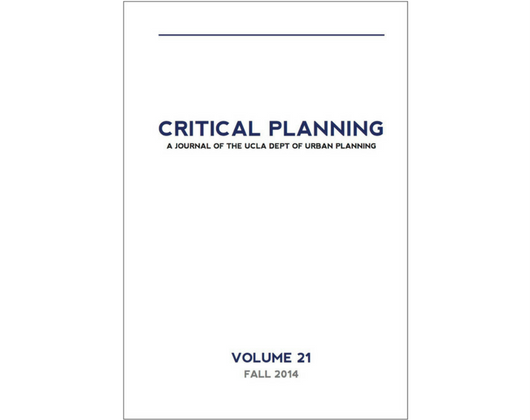 Includes slides, worksheets, exercises, and other resources that we use over the course of the training. 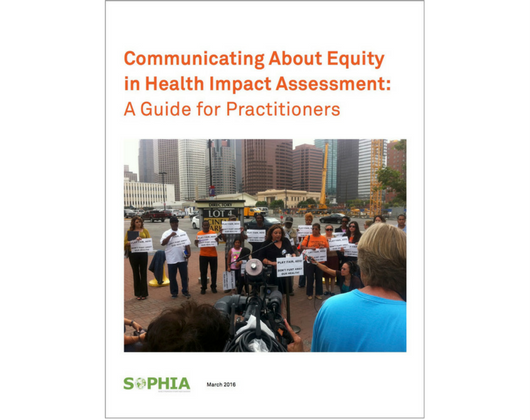 The Society of Practitioners of Health Impact Assessment’s Equity Workgroup (which HIP was a member of) developed this guide to aid HIA practitioners in how to communicate around equity within HIA while purposefully advancing equity. 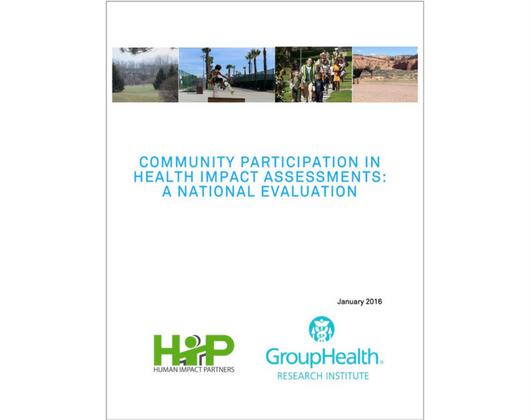 A two-year study that looked at how community participation impacted core HIA values like democracy and equity, and how participation affected the success of the HIA. 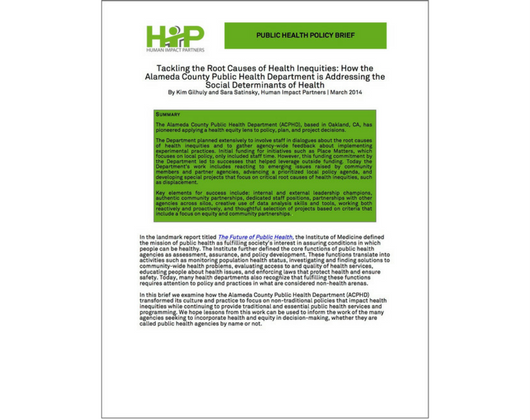 HIP developed and implemented a new model for conducting rapid HIAs. 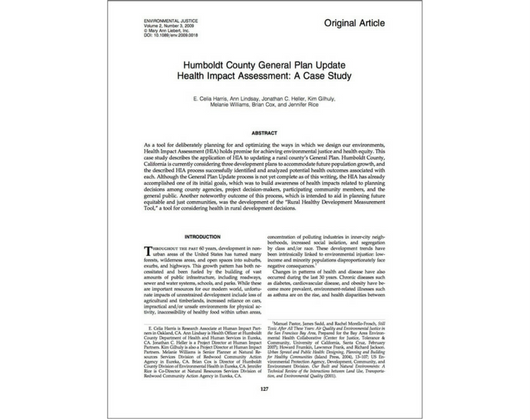 This model aimed to conduct an HIA within a short decision-making timeline, while maintaining a high level of stakeholder engagement in the process. 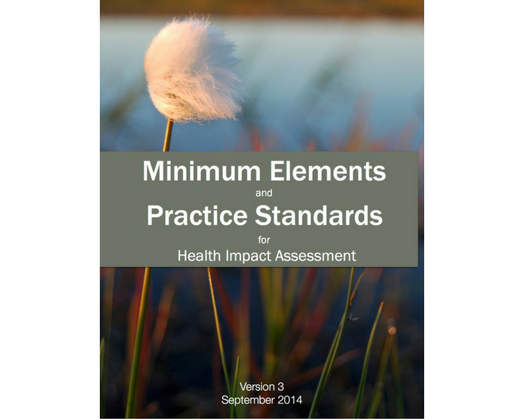 HIA practitioners, including HIP, developed and published this document to provide minimum elements and standards for practice in HIA. 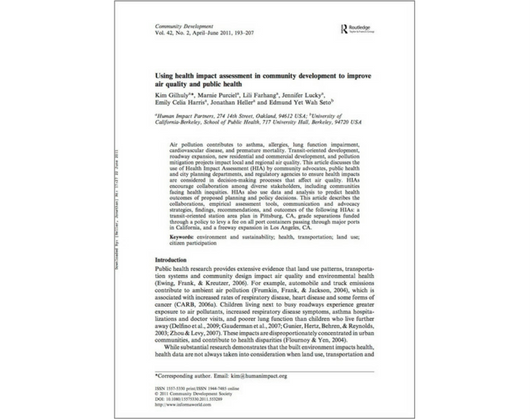 Abstract: There has been a surge of interest in Health Impact Assessment (HIA) in the United States, contributing to a range of practices that vary in their effort, duration, and complexity. 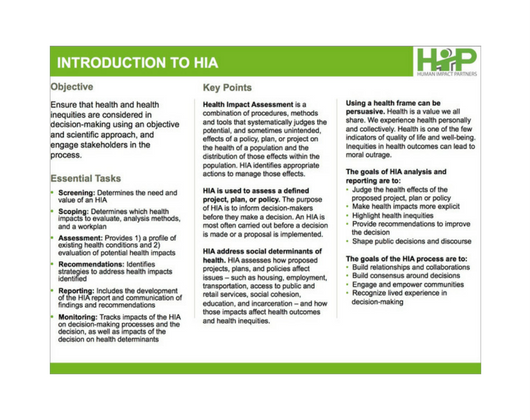 Two-page summaries that walk through each of the steps in HIA, as well as community participation in HIA. 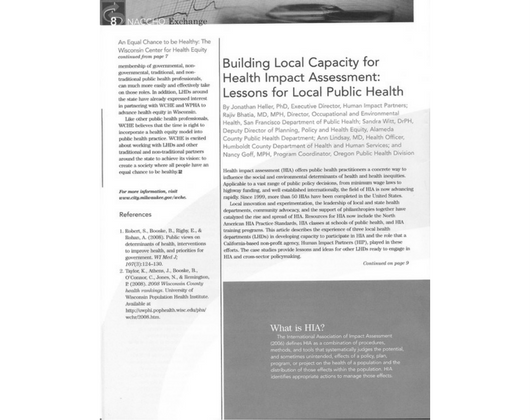 HIP published this brief to document how the Alameda County Public Health Department transformed its culture and practice to focus on non-traditional policies that impact health inequities while continuing to provide traditional and essential public health services and programming. 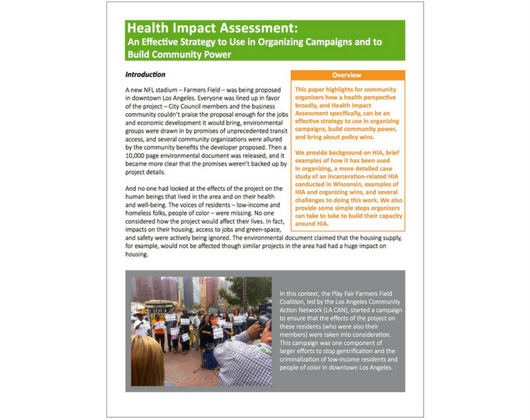 HIP published this paper to highlight for community organizers how a health perspective broadly, and Health Impact Assessment specifically, can be an effective strategy in organizing campaigns, and can be used to build community power and bring about policy wins. 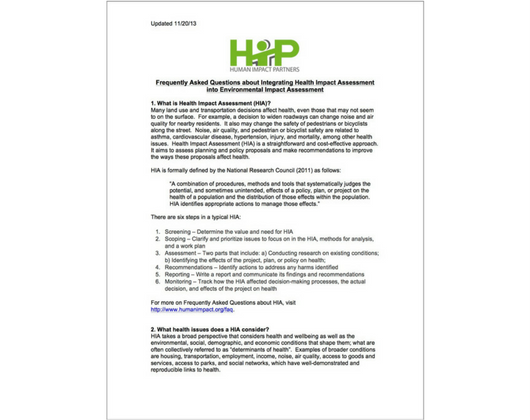 HIP developed this set of questions and answers to support people interested in better understanding how HIA relates to the field of Environmental Impact Assessment. 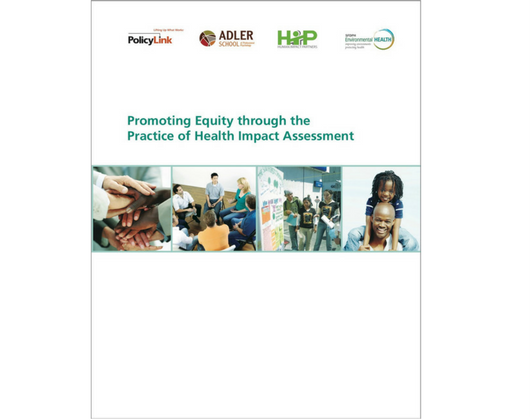 The Society of Practitioners of Health Impact Assessment’s Equity Workgroup (which HIP is a member of) published this primer on: 1) how HIA practitioners and equity advocates can ensure that the practice of HIA maintains a strong focus on promoting equity and 2) how HIA can be used as a tool to support equitable decision-making processes and outcomes. A quick summary of the who, what, when, where and why of HIA (English, Spanish) + video of HIA. 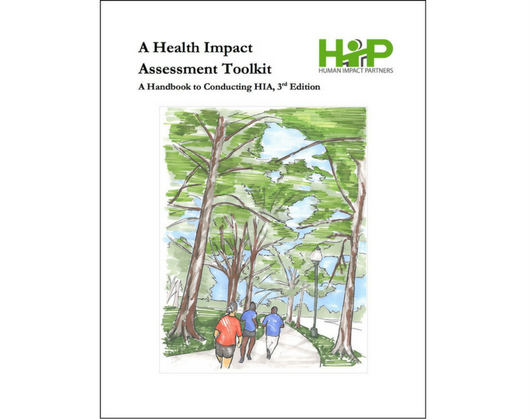 A national workgroup of HIA practitioners (which HIP was a member of) developed this resource to show practitioners how to effectively and meaningfully involve diverse stakeholders at every stage of an HIA. 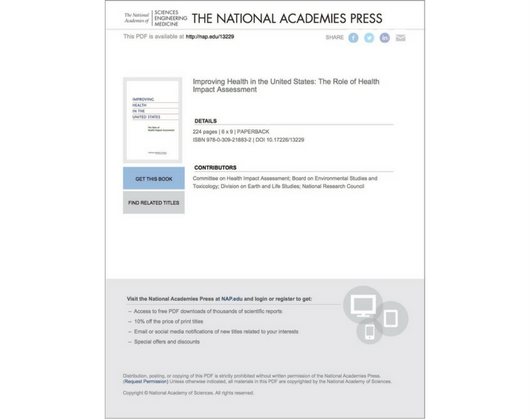 The National Research Council of the National Academies of Science published this book in 2011 to provide a definition, framework, and criteria for HIA, as well as to discuss issues in and challenges to the development and practice of HIA. 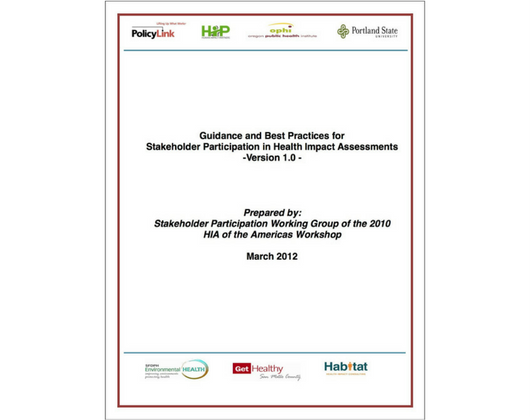 Abstract: Stakeholder consultation is a key mechanism in impact assessment. 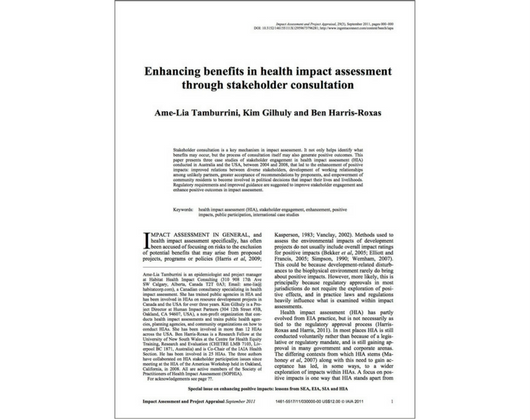 It not only helps identify what benefits may occur, but the process of consultation itself may also generate positive outcomes. 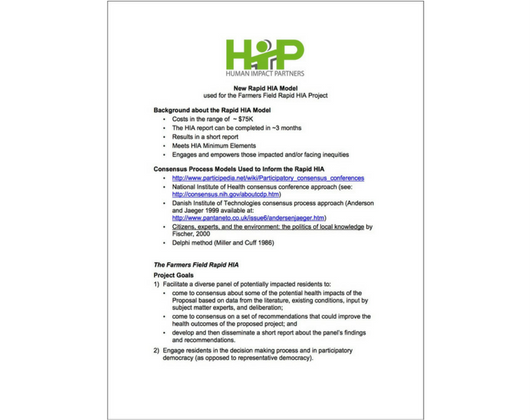 HIP developed this toolkit to introduce and define HIA, describe each step of the HIA process, and discuss other aspects of HIA such as collaboration and when to use HIA. 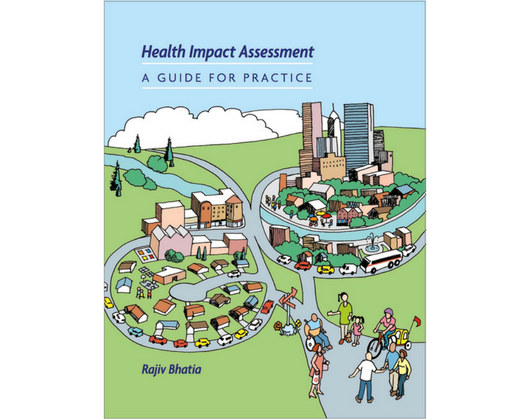 Dr. Rajiv Bhatia (one of HIP’s co-founders) developed this guide to support practitioners in the field. It describes the key tasks and activities for HIA as well as the issues and challenges that arise in the course of practice. 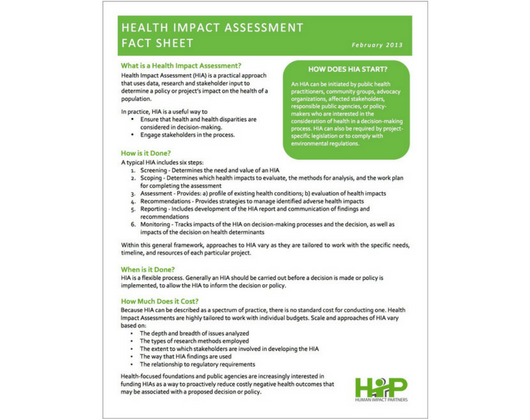 Health impact assessment (HIA) offers public health practitioners a concrete way to influence the social and environmental determinants of health and health inequities.